I have been an independent consultant since 1991 and I und​ertake a wide range of research and analysis on health and social care issues. I am particularly interested in: the health and social care interface, especially in relation to services for older people; the personalisation transformation in social care; eligibility and fair access; and the social care workforce. My clients include: Central Government departments; national charities and NGOs; and health and local authorities. My work typically involves qualitative methods that enable people to tell their own powerful stories. Please get in touch with me if you wish to discuss commissioning any research or analysis. 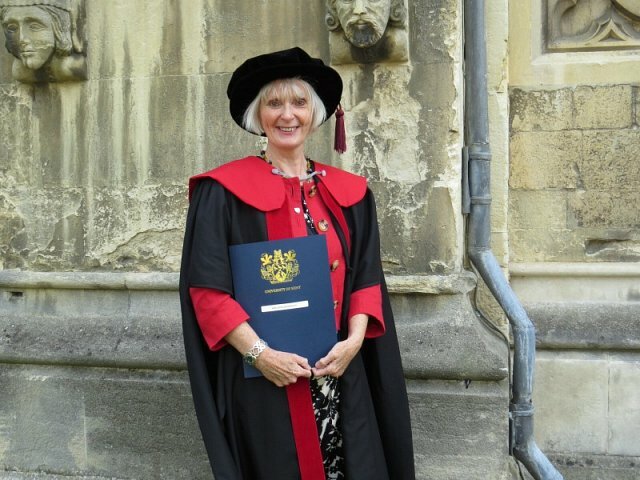 Below - graduating with my Doctorate at Canterbury Cathedral, 15 July 2016. The announcement on 16th November 2017 that a green paper on social care for older people will be published by next summer is a familiar tale. We have been around this issue multiple times over the past two decades. The case for an equitable, transparent and sustainable solution is self-evident and demands cross-party support. Organ Donation: Opting in or out? Organ (and blood) donation is of vital importance, but should it remain voluntary, rather than on the basis of presumed consent? Funding for NHS continuing care is anomalous, irregular and often baffling for those trying to get support from the system, why are these issues still recurring over many years? The response to the Grenfell Tower fire in the days that followed appearared chaotic, and a contrast with other major emergency response. What went wrong? This scoping review is a major piece of research undertaken by Melanie Henwood, in conjunction with Dr Mary Larkin (The Open University) and Prof Alisoun Milne (University of Kent). This NIHR-SSCR funded scoping review provides a comprehensive and unique mapping of what is known about carers and caring, and aims to help inform policy, practice and research in relation to carers. The review was undertaken by searching 10 electronic bibliographic databases, supplemented by additional web searches to identify academic research, grey literature and wider knowledge. A number of pilot projects were funded by Skills for Care through 2013/14 to develop Dementia Friendly Communities. The dementia challenge is about much more than awareness raising - where do we go from here?